Nina was born and raised in Rio de Janeiro. She graduated in Graphic Design, but always had her mind in art. While in college, she was introduced to the local graffiti artists, who got her even more inspired. 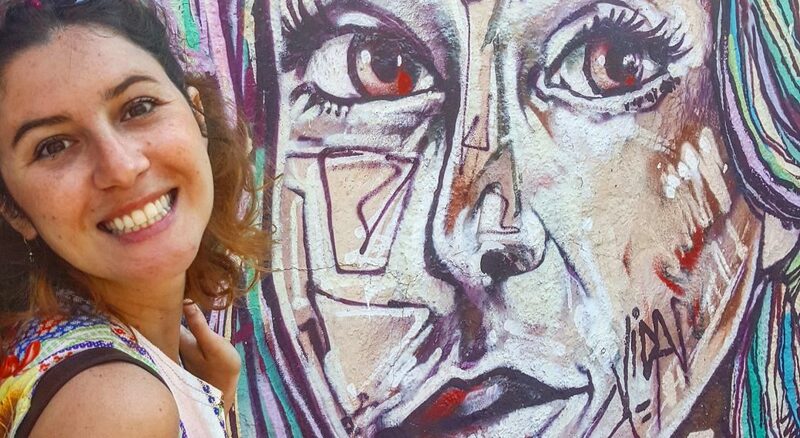 She now runs the Rio Street Art Tour, and is also an event producer and agitator. Rio Street Art Tour is an organization that promotes the urban art scene of Rio and supports local artists. Our guided tours take you off the beaten path to visit hidden graffiti hotspots and open air galleries. Always changing and adapting to include all the new works that appear daily in the city.